The Tijuana Cartel is based in Tijuana and Baja California, Mexico. 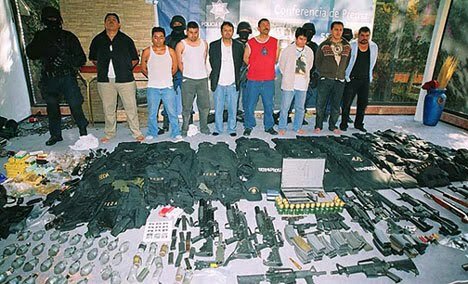 It covers the northwestern part of Mexico and its major rivals are: the Juárez Cartel, the Gulf Cartel and the Sinaloa Cartel. Their leader was Manuel Garcia Simentel, but he was arrested by Mexican police and is currently in custody.This cartel traffics cocaine. Some of their allies are the Los Zetas and the Beltran Leyva Cartel.